Time for a small clean out of some items that I would rather go to the up and coming juniors if that is cool with everyone. All of these items will be obviously posted free also. Hope to find a good home for these to help out some of the kids. Last edited by dayo; 6th December 2016 at 09:01 PM. 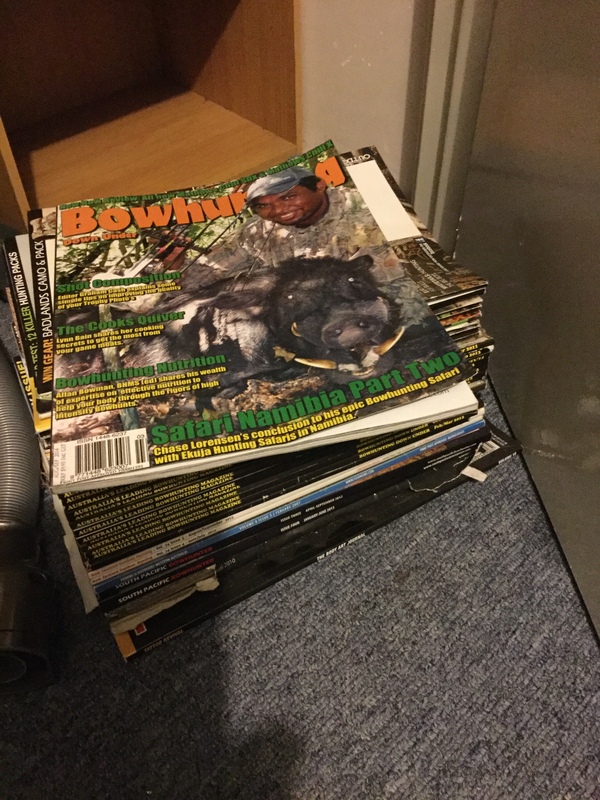 2012 Carbon Matrix RKT, 70#, 28"
2015 Carbon Spyder 34, 70#, 28"
2017 Pro Defiant 34, 70#, 28"
Hi all I have a stack of bowhunting downunder magazines (15-20) that I will never read again. I'm moving house so if anybody in Perth wants to come and pick them up feel free to get in touch. I live in Swan View. I've got some stuff to get rid of. Last edited by downunderhunter; 17th September 2018 at 12:08 PM. Scott release aid- velcro strap has snapped but if your good with a needle and thread you could easily have a backup release aid, just don't have a need for it anymore. Set of 70# pound limbs for a 2012 and twelve bear anarchy - bear sent me two replacement sets. Hi everyone I have wooden bow case that I made a while ago it's a bit bulky to cart around but good for storing your bow in the shed or something. Bow pictured is 32inch ata. Free to anyone in Perth.